Do some treks, escape the heat with some camping, head to a hill station and more. Read on, for getaways & travel from Mumbai! On a hilltop, by a lake, on the beach, next to a fort; whatever the location, camping is always fun! Think bonfires, clear night skies, barbecues, soulful sunrises & sunsets, sometimes with movies & live music; sometimes with fireflies creating stunning formations nearby. Pick your kind from some fantastic camping experiences from Mumbai - some close by, some a little further away! Yes, it's a bit of a climb. Yes, you'll need to get up early. Yes, you're going to have to work up a sweat. But. Those. Views. You will be rewarded with some world-class views. There are treks for everyone: Simple ones like Tikona Fort, Karnala Sanctuary, Rajmachi, Kalavantin, Peb; tougher ones like Kalsubai, Harishchandragadh, Lohagad and Bhimashankar. There are also treks very close to home (including some in Sanjay Gandhi National Park) and some that are in another state but can be done over a weekend (Jog Falls in Karnataka and the legendary Dudhsagar Falls in Goa being two favourites of the Mumbai trekking community). So whether you're a first-time trekker or someone who's seasoned at scaling peaks, the Sahyadris will have something for you. Check out some fantastic treks from Mumbai, here! More will be added, as we get more into the monsoon season! If the thought of dodging traffic in peak summer afternoons isn't your fancy, then you might like to know that there's another side to cycling in the city: At night! Yes, when things get quieter (and cooler! ), the cycling community comes alive. There are several tour organizers for you to get your pedalling fix, some even teaching you about the city while you're at it! Check out all cycling events in Mumbai, here! 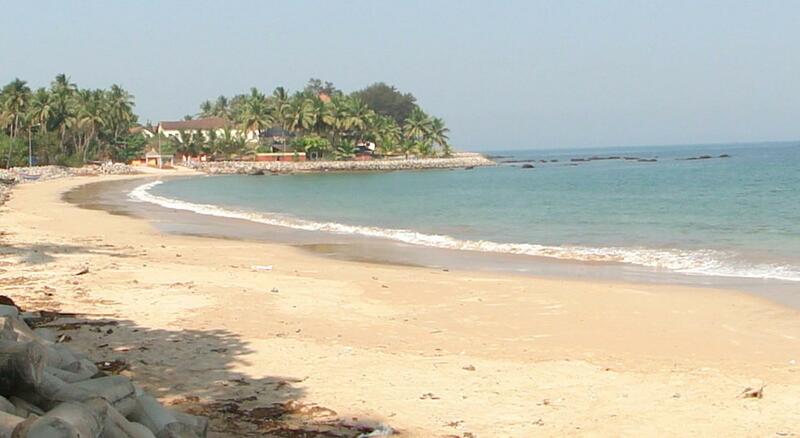 You'll find a wide variety of adventure, sporting, and leisure things to do near Mumbai. Head up to Ladakh to engage in some incredible travel, while helping the local community. How about that trip to Sikkim that's been on your bucketlist for a while now? Check out all these and more for some offbeat events! Sure, the indoors has its benefits - safety from the elements, no need to dry off, etc. But the outdoors (and we don't mean getting stuck in knee-deep water in traffic) are truly where monsoon is at, and the more we get into the monsoon, the more events and adventure activities you will find! Apart from trekking, you can look forward to adventure activities like white water rafting and waterfall rappelling -both of which should come alive by mid-June, and later you will be able to glide over the mountains as the paragliding season begins. Another perpetual monsoon favourite: A visit to Hill Stations! No air conditioner can ever match Mother Nature, especially with clouds swimming overhead, as you munch on some chikki, it's easy to forget that it's summer. With several easily accessible options near Mumbai - from the evergreen, popular Lonavla, Mahabaleshwar and Matheran to those that are slightly more off the beaten path, such as Malshej Ghat, Amboli and Jawhar. Several of these offer tours (where you can see some of the Sahyadris' best views that don't involve a trek), sightseeing, local food, whereas for the others you might just want to get a book (or a Netflix subscription) and relax. Check out our guide to the most interesting offbeat spots for you to visit here! No problem! We've got lots more for you do within city limits - live comedy & music, food, workshops & more on Insider! Or heck, you can stay indoors and catch the best new comedy and shows to stream over at Insider.in's Stay In section.